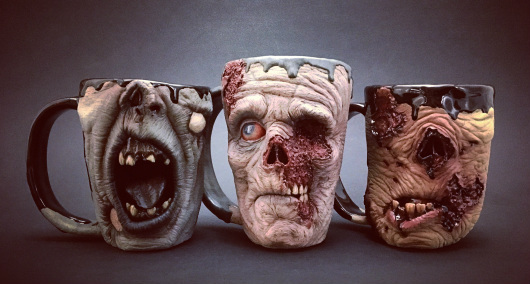 These Zombie Mugs Are Ultra-Realistic, Whatever That Means | OhGizmo! I mean… as much as we like to imagine they’re real, zombies don’t exist. Ok? I don’t wanna burst anyone’s bubble, but it’s true. 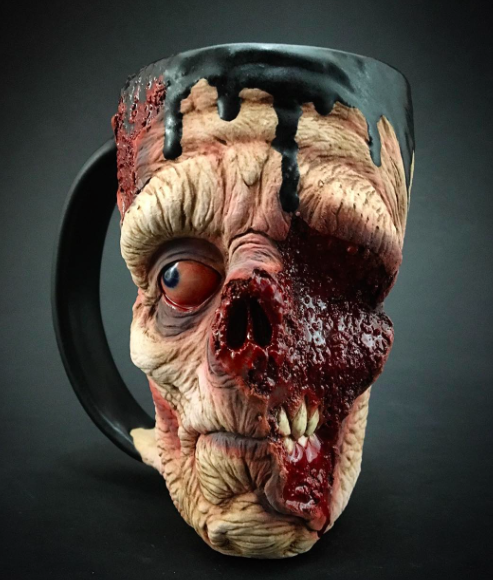 So, you know, that “realistic” tag is kind of funny… But if they were real, sculptor Turkey Murck’s Slow Zombie mugs would be as realistic looking as I’ve ever seen. They’re all cast from a hand-made mold, made out “of stoneware, coated in a food-safe glaze and fired to 2200 (F) degrees to ensure it is completely functional, durable and safe to drink from. All cast mugs are dishwasher and microwave safe.” They’re also not cheap, at $220 a pop. They’re completely sold out, but Turkey is planning to release a second batch in February. You can sig up on his website to signal your interest. 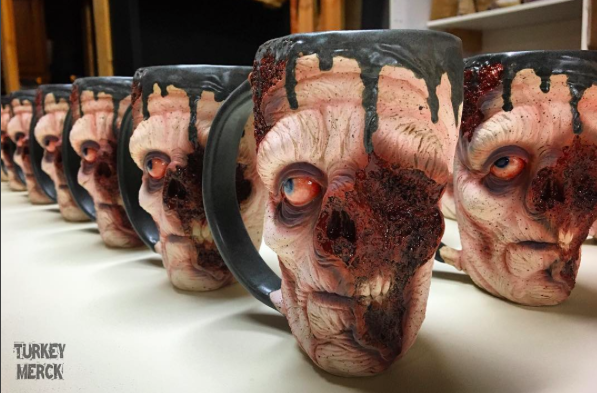 These mugs are really cool until you see the price.